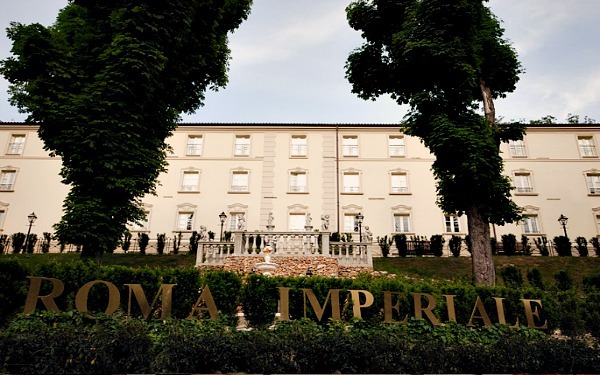 Hotel Roma Imperiale was built in 1870 as private accommodation, or more precisely, the nature of the construction was a house with two stables, a hall, ground floor terrace and a hay loft on the first floor. 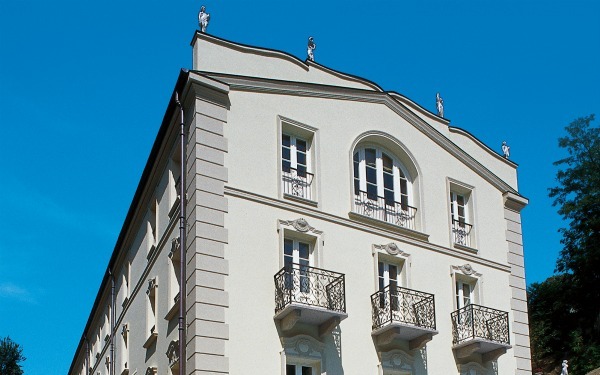 Some years later, the building was extended and transformed into a ‘house hotel’ and it remained operative until World War II, after which it was completely abandoned. 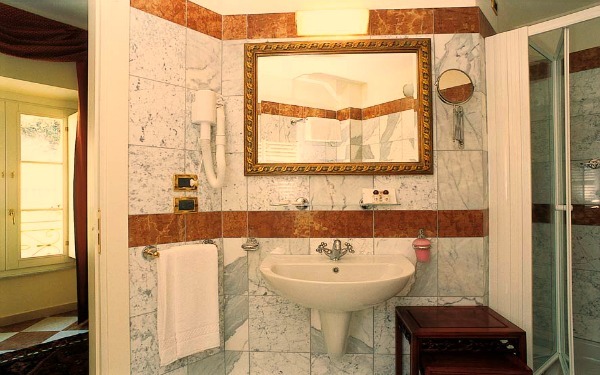 In 2005, the hotel was then subject to accurate restoration work which fully respected its period architecture and furnishing, but which was still able to add some charming modern aspects, such as an external glass lift. 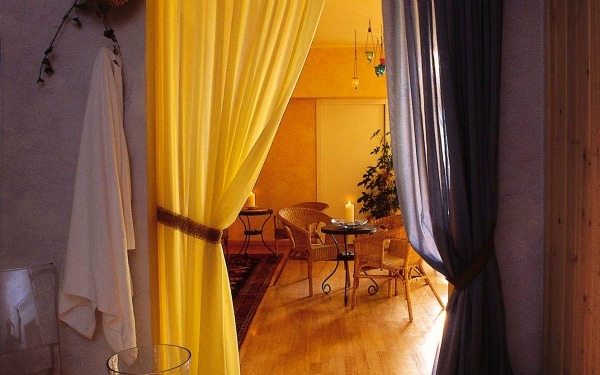 Today, this historic property boasts large and finely decorated rooms, a restaurant that expands over three dining areas and an Ayurvedic centre on the first floor which is over 200m² in size and which looks out over the garden and has a swimming pool. 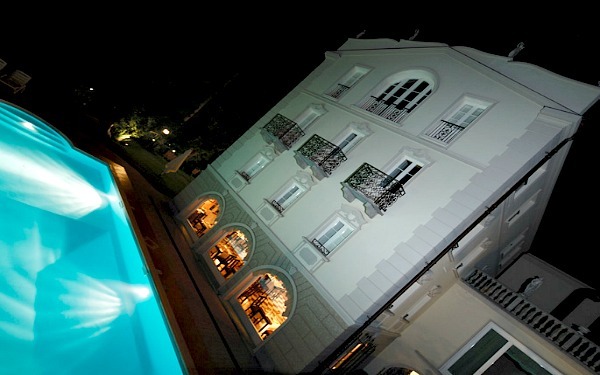 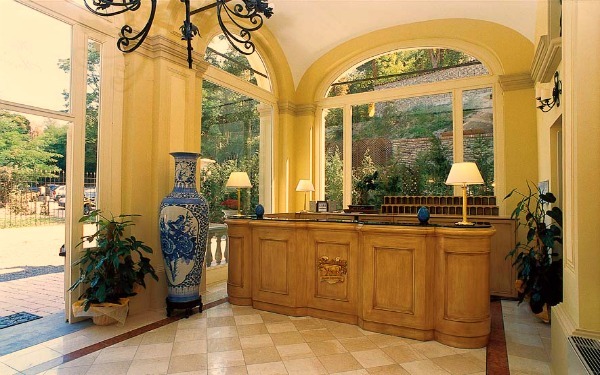 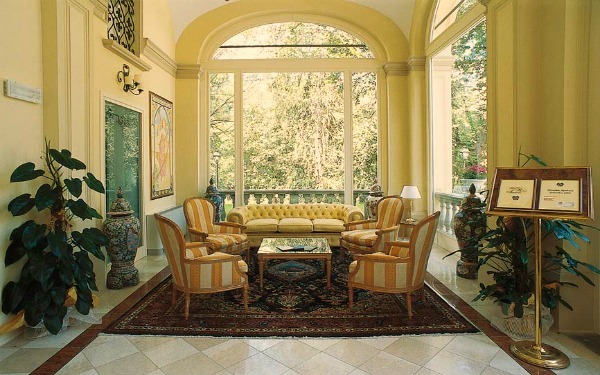 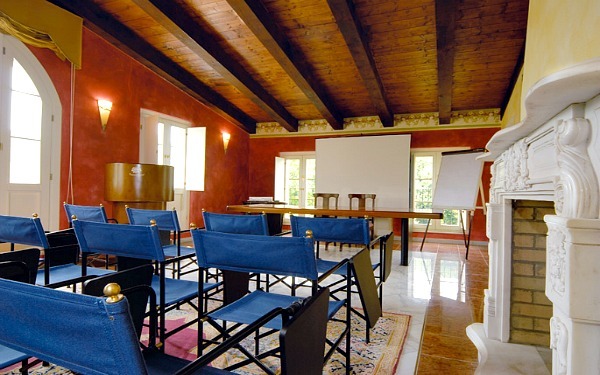 The hotel is part of the Antiche Dimore network which consists of the Torre Cambiaso di Pegli hotel (Genoa) and the Hotel Villa Tacchi di Padovano (Padova). 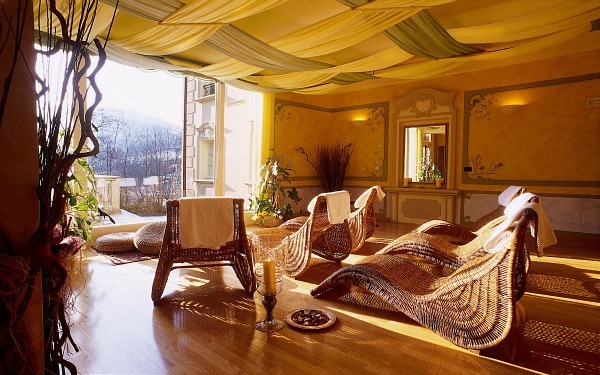 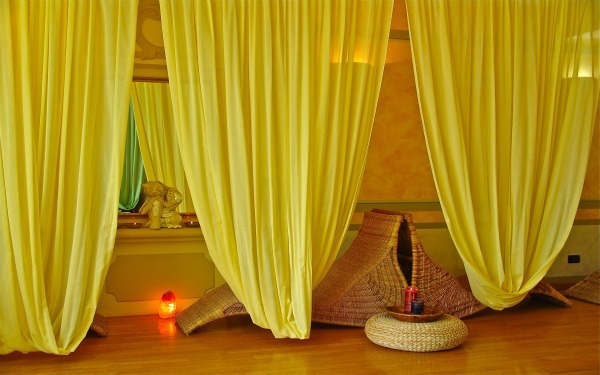 The hotel’s Beauty Farm and Spa, known as ‘Il Regno di Dhanvantari’, is an Ayurvedic centre where centuries-long experience of this Indian medicine is perfectly combined with Western medicine, and where, as well as numerous treatments (the main ones being Purvakarma, Panchakarma and Rasayana), various activities related to teaching meditation techniques are carried out, especially those relating to diaphragm techniques and pranayama. 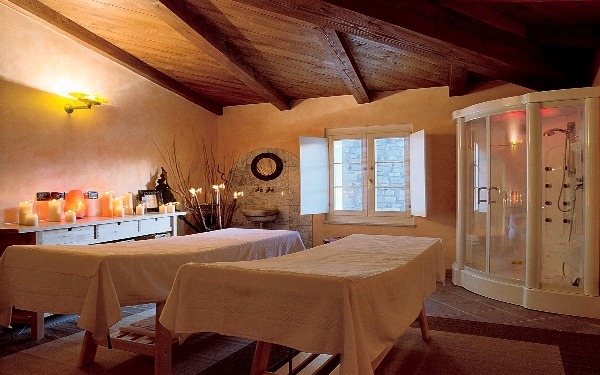 A visit to Il Regno di Dhanvantari at Hotel Roma Imperiale begins with a conversation with a Purvakarma operator to discover the guest’s personal Dosha and, consequently, identify the most suitable Ayurvedic treatments for him/her to help discover and rediscover his/her interior qualities, conquer them and maintain psycho-physical well-being. 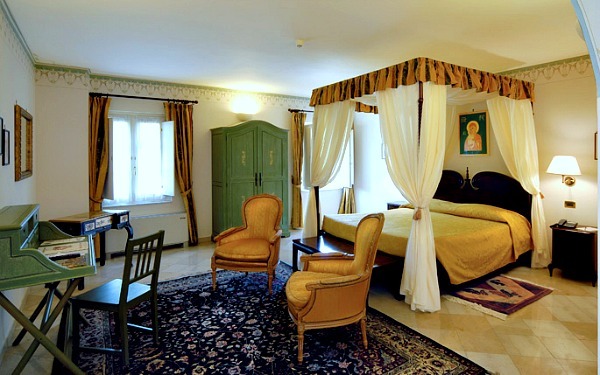 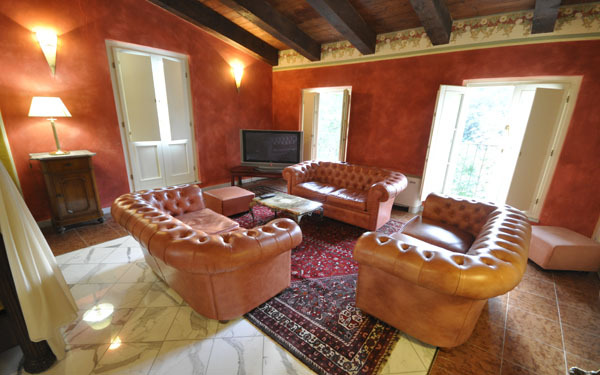 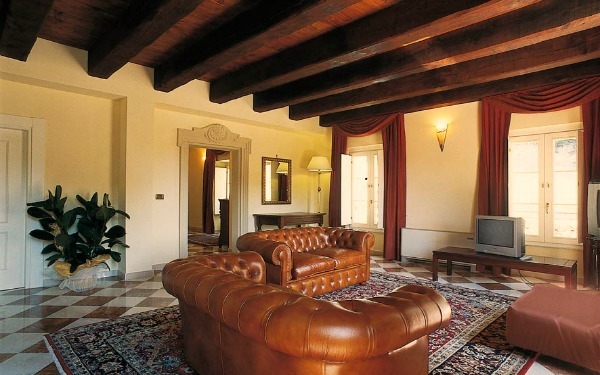 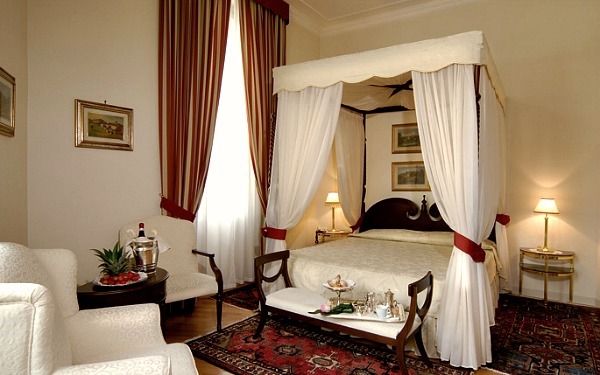 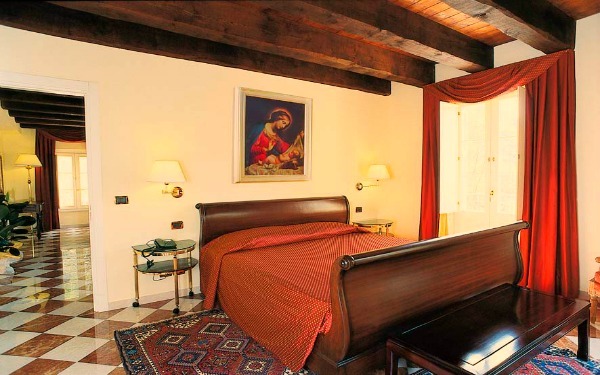 The 26 rooms at Hotel Roma Imperiale are bright, comfortable, large, furnished with precious textiles and furniture in a classic style and they boast marble floors and ceilings with plaster stucchi or wooden beams. 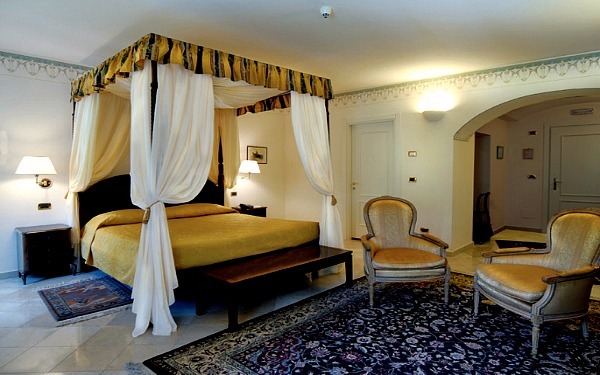 There are 6 Suites, 7 Junior Suites and 12 twin or double rooms (6 of which are superior). 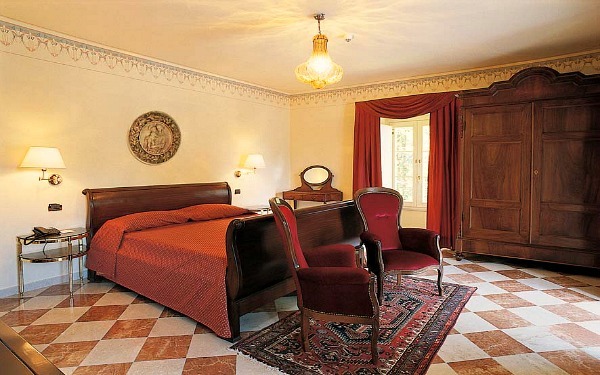 Eight of the rooms are connected to one another and there is one room on each floor that can host disabled guests. 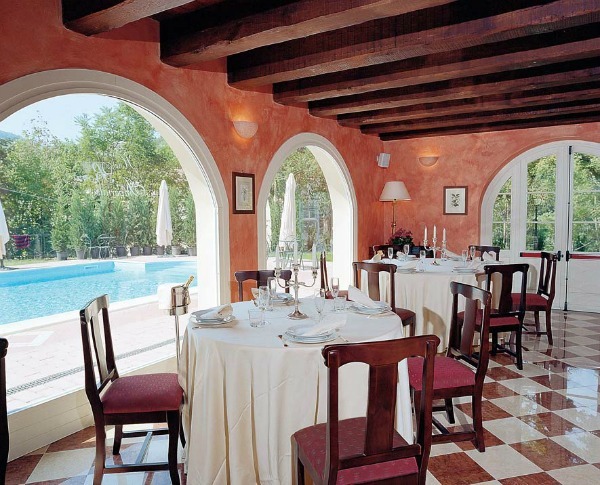 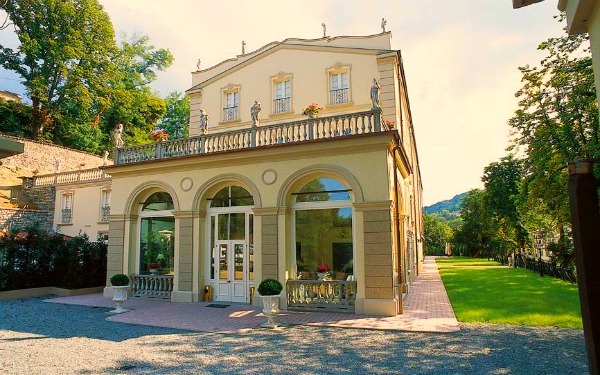 The Bellevue restaurant is located on the ground floor of the hotel, as is Caffè della Villa, and both of them face the centuries old park, the garden "Giardino dei Fauni" and the swimming pool. 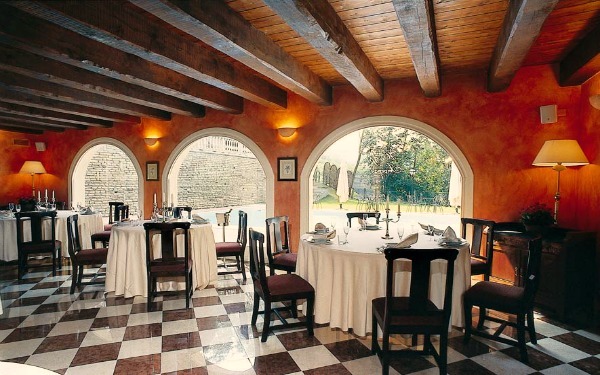 The restaurant expands over three connected dining-areas in a complex that is capable of hosting up to 150 people and the kitchen proposes characteristic Italian and Piemontese dishes. 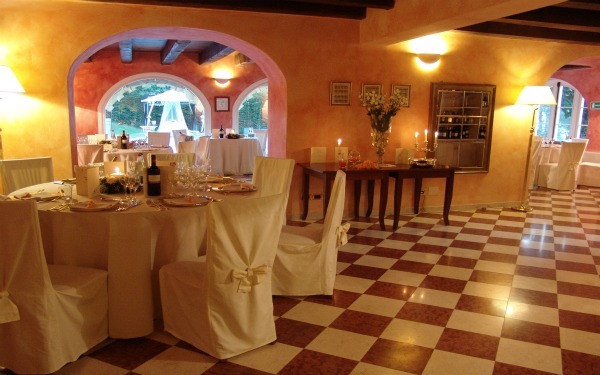 The restaurant is open from Friday to Sunday. 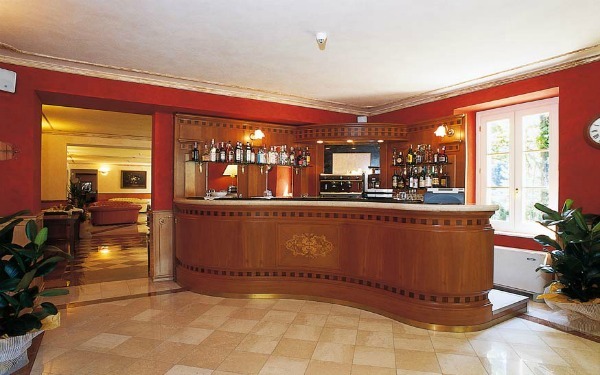 The hotel also has a tavern which can be reached both from the hall and the garden and it can hold receptions for up to 50 people. 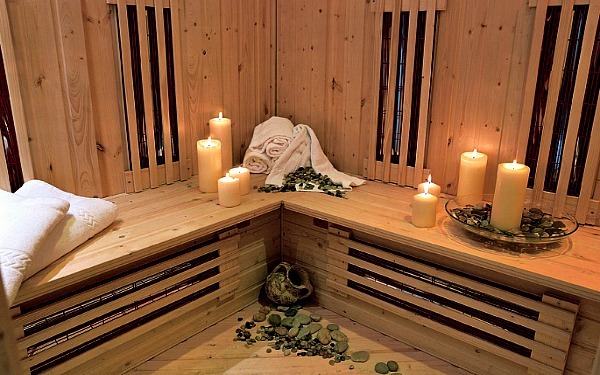 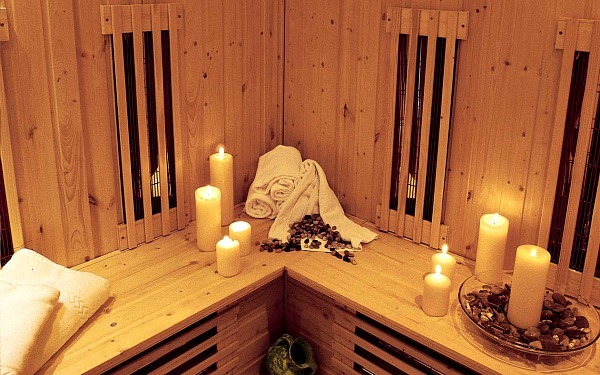 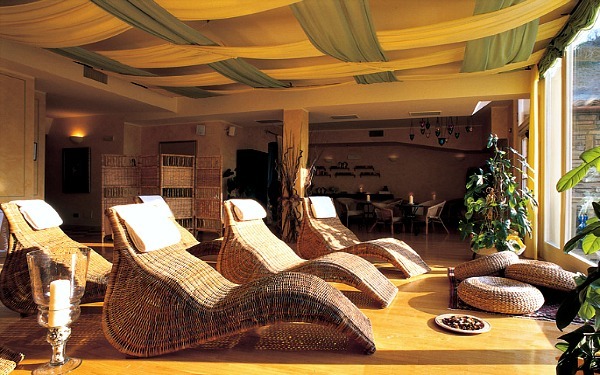 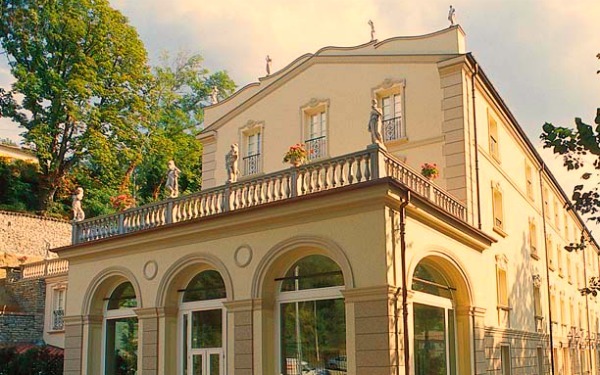 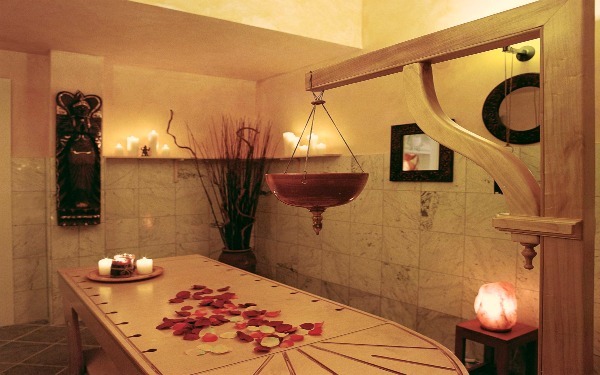 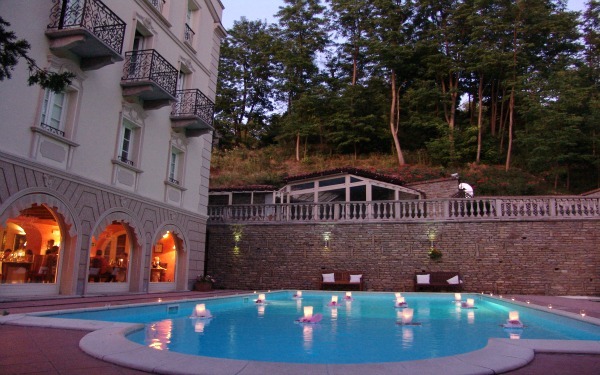 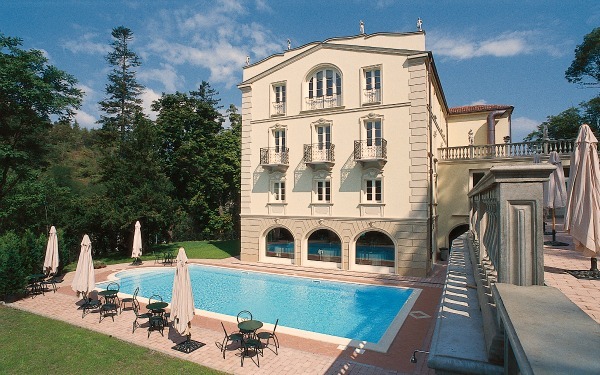 Acqui Terme has been one of the most important health spas since Roman times thanks to its favourable location and extensive thermal water resources. 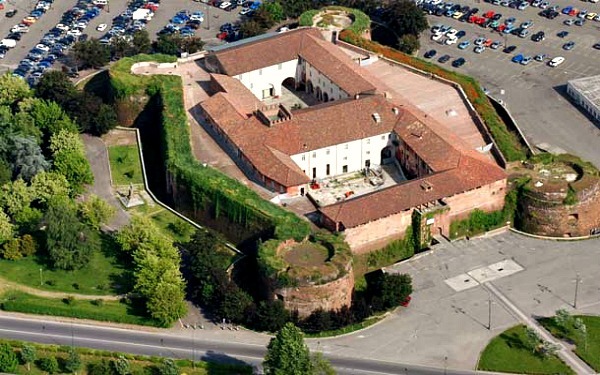 The area is also rich in archaeological findings, such as a Roman aqueduct and other precious findings from this era (as well as from the Medieval period) and they can be seen at the nearby Archaeological Museum inside the Paleologi Castle. 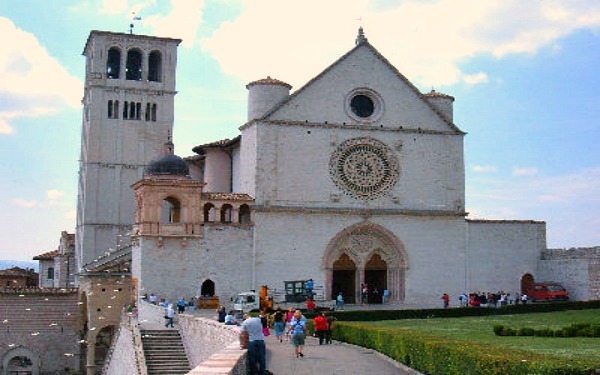 Other historic and cultural points of interest in this town are; the antique dome of San Pietro, the Roman style church of San Francesco al Duomo and various elegant and noble buildings. 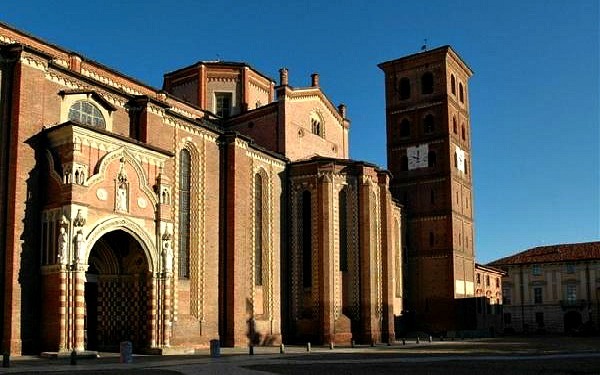 The whole of the Montferrat area boasts architectural and naturalistic beauties which show how rich its history really is: castles, towers and remains dominate almost all of the high grounds, whilst the paths of each contrada in Montferrat are dotted with numerous abbeys, churches and chapels. 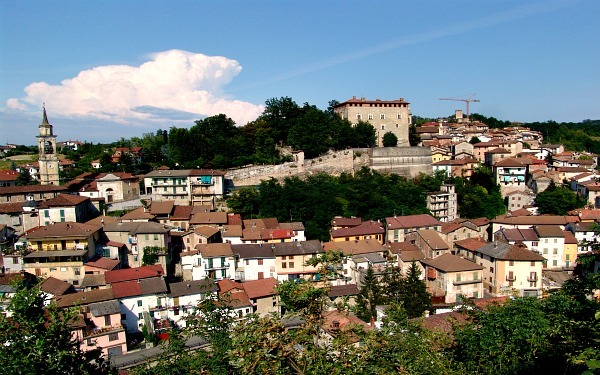 A visit to what is considered the ‘capital’ of the area is also a must; Casale Monferrato is just over 60km away and its artistic and cultural points of interest are combined with those of handicrafts, and there are numerous fairs and exhibitions that you can attend which take place all through the year. 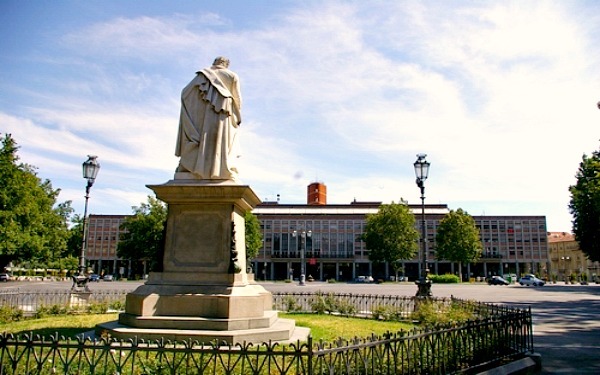 The closest cities of art are Alessandria (just under 40km away) and Asti (45km away).